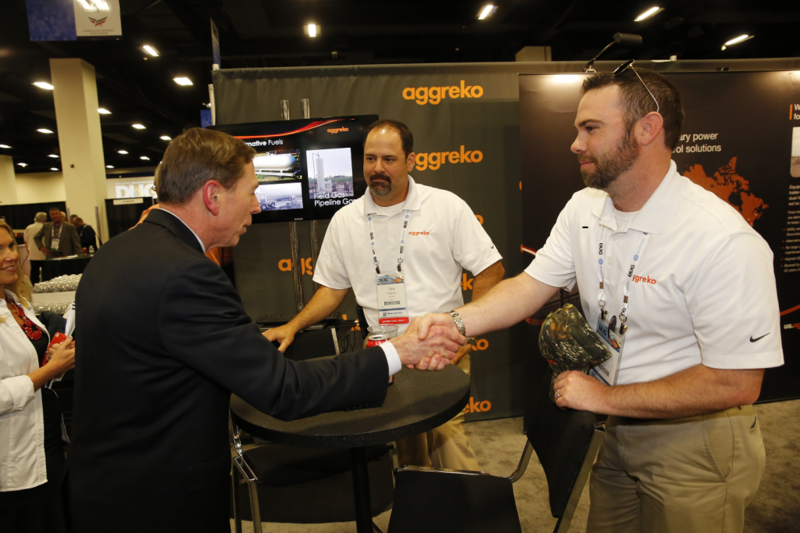 “How’s Aggreko?” asked General David Petraeus. Aggreko was a sponsor and exhibitor at the 9th Annual DUG Permian Basin conference and exhibition in Fort Worth this past week. During the event, we had the opportunity to speak with Permian Basin operators and oil field services companies about their temporary power needs. At one point during the show, we had the unique opportunity to be visited by retired Four-Star General and former CIA-director David Petraeus. General Petraeus was the keynote speaker during lunch and spoke about a range of global energy and international issues as well as his career.